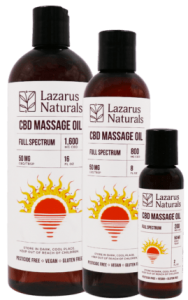 CBD Oil Review rates Lazarus Naturals with four stars because it qualifies for the Quality, Safety, Mission & Charity Badges. Sustainability? Check. Premium CBD extract? Check. With Lazarus Naturals, the checks just keep on coming. Here is a team of like-minded individuals committed to both the science and ethos of the CBD hemp movement, and we honestly can’t get enough. Their aim is to provide the best CBD for everyone, especially those who need it the most, which is why they have an extensive discount program for the disabled, veterans, and those with low income. 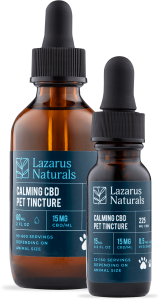 Lazarus Naturals is on their game when it comes to posting comprehensive third-party test results, and they truly back up their promise of “consciously crafted CBD”. Shop now and save 10% off your entire Lazarus Naturals purchase! Lazarus Naturals was founded in 2014 by current CEO Sequoia Price. They are now one of the largest CBD companies in the Pacific Northwest, with two farms that focus on sustainable scaling by employing eco-conscious irrigation and fertilization techniques. Their team has the credentials we love to see: hemp activists, farming experts, and biotech researchers. In fact, the company is owned by the employees, something that speaks to integrity and a real motivation to do great work. Their CBD oil comes from industrial hemp, the majority of which is grown on their own farms. The cannabidiol is extracted with ethanol and then distilled to render a potent and pure product. And we know there are no residual solvents since Lazarus Naturals is on the up and up with their testing. Not only are there comprehensive CoAs for each SKU, but they’re highly readable and understandable. We give them a huge thumbs up for both quality and safety. CBC capsules- The original full spectrum capsules come in three concentrations. The Energy Formula has CBD isolate, B12, and caffeine that complements the Relaxation Formula with Ashwagandha and chamomile extracts. Finally, their Cycling Frog line of softgels contains both CBD isolate and CBD distillate for a more potent effect. CBD topicals- We love this pure and simple topical line that includes massage oil and CBD balms with organic ingredients. What puts Lazarus Naturals over the top for us is their ardent commitment to charity. They offer lifetime discounts through their assistance program for veterans, the disabled, and low-income individuals. We wish more CBD companies had the kind of ethos and heart of this phenomenal brand. Bottom Line – We only have positive things to say about Lazarus Naturals. They are an eco-conscious, people-conscious CBD company with high-grade CBD oil, and they earn high marks for transparency. We feel very confident that they are one of the best out there. 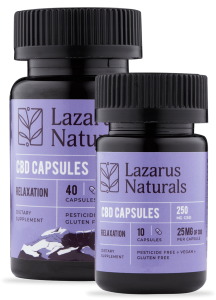 Lazarus Naturals sources non-GMO industrial hemp grown on their Oregonian farms and uses all-natural ingredients in their CBD product line. Lazarus Naturals regularly tests for both purity and contaminants and posts these results for each SKU in an easy-to-read format. Lazarus Naturals is committed to making high-quality CBD products accessible to everyone, especially those who need it most. 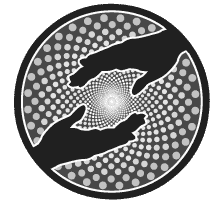 Lazarus Naturals has an assistance program that offers lifetime CBD discounts for veterans, the disabled, and low-income individuals and families.